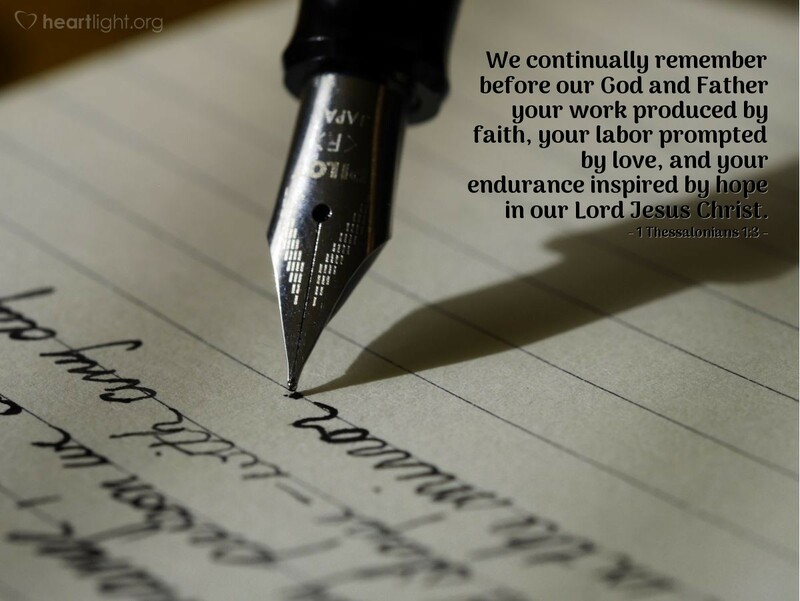 We continually remember before our God and Father your work produced by faith, your labor prompted by love, and your endurance inspired by hope in our Lord Jesus Christ. In a world that falls for facades and seems to give more credit for intentions than actions, don't you find it refreshing that Paul expects that faith, hope, and love will naturally produce certain actions. Mighty God of deliverance, I want to honor you with a life of observable faith, hope, and love. Please revive and refresh me with your Holy Spirit so that my life will be full of the actions that your grace and character inspire. In Jesus' name I pray. Amen.